Trophy Textiles was born in the summer of 1994 to Dot and Eddy Bowden as a fresh new family business. Since that time, the company has undergone various changes and can now boast at having a very exciting market within the retail world of customer service and sales. Based at Pool Business Park, Dudnance Lane, Pool, Cornwall, our customer services are not just to the local community but country wide, via recommendation and personal service, also our websites etc. We are specialists within the embroidery and vinyl printing industry, allowing our customers their choice of garments, and designs to suit their every need, all included in our ‘One Stop Shop’. We embroider a wide variety of items, from the standard polo shirts to sweatshirts, formal shirts etc. to nylon dog collars horse numnahs and blankets. We can set up and produce individual or company designs from bespoke requirements, or offer our customers a set design from our ever-expanding in-house portfolio. Sports clubs – Rugby, Football, Bowls, Darts etc. Associations and Charities etc. and individual customers. In using our high quality craftsmanship and customer service skills, you can be assured that every garment, embroidered or vinyl printed, will have been individually produced and quality checked specifically to our customer’s requirements. 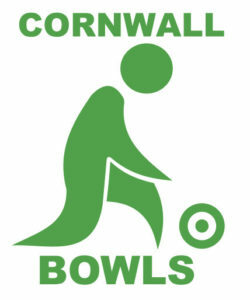 Our last significant venture was to set up Cornwall Bowls within Trophy Textiles. Not only are we Cornwall’s major specialist suppliers of bowls, equipment and accessories, but we are able to incorporate the skills of Trophy Textiles by offering a full embroidery service to clubs and members alike, once again, fulfilling our customers needs by giving excellent sales and service.